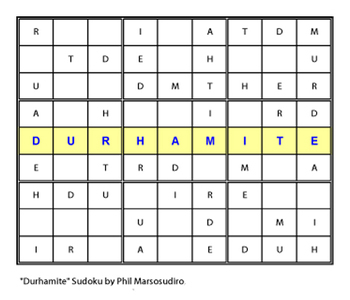 I made this Durhamite sudoku while on vacation in bloody hot Phoenix last month. It solves like any other Sudoku but with letters instead of numbers. If you're one of the three living Americans who doesn't know how Sudoku puzzles work, go here.